The 2017 United States Pro Kart Series presented by FIKSE Wheels and MG Tires completed the season with its fourth event of the year this past weekend. It was the first time the USPKS visited the Autobahn Country Club in Joliet, Illinois. The seven championship chases completed at the unique circuit under very high temperatures for the time of the year. The final round of a championship typically sees the lowest numbers on the year. It is for a number reasons; budget is run out, not in the championship, too far to travel, not liking the facility, school, etc. The list can go on. For this series, it reached an all-time low of 57 total entries on the weekend. The highest class was 15 with the KA100 and Yamaha Junior had zero drivers compete. All the other classes were below the 10-mark. I believe it had to do with the time and location. September is the first weeks of school for many kids. Those not in the championship chase stayed away, and those in the area did not want to pull their kids out of school. For many, it is the end of a long racing season that began back in December with Daytona. Some traveled with USPKS, WKA, SKUSA and other programs throughout the year. While people may think racing near a major city like Chicago is a positive, many look at it as a negative. Traffic is a pain, and air travel can sometimes be a nightmare with O’Hare. Having visited the Autobahn location for the first time, it has the makings of becoming a great karting facility. The big track attracts a number of major road racing organizations, and now the facility is looking to build up its karting sector. 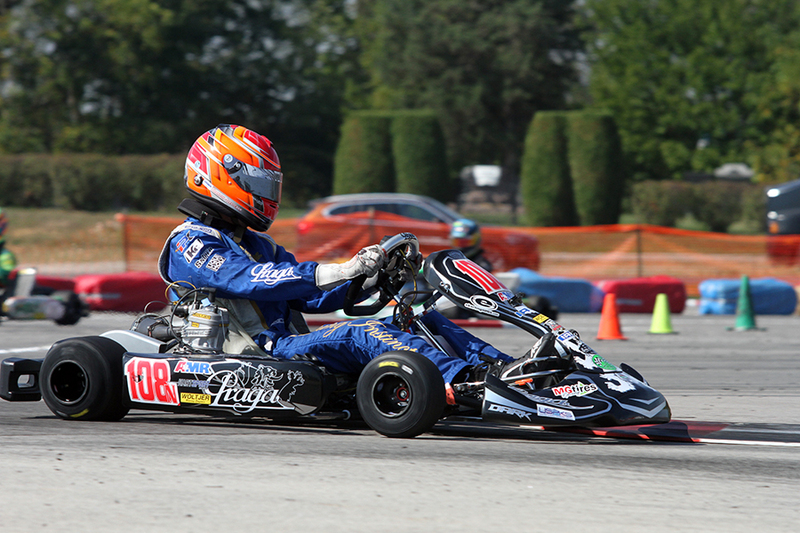 Their involvement with the Margay Ignite program has helped to bring in new karters. The track itself is short – just over a half-mile – made up of a very tiny permanent track that extends into a skid pad. The layout is narrow and technical. Both the permanent and skid pad have a little bit of character and elevation. The plastic barriers remind you of a street race or temp circuit, and caught a couple drivers during the weekend. What’s missing is a true karting building. Something with a kart shop, real restrooms, and an area to relax and enjoy the racing. The tight confines of the circuit allow you to see pretty much the entire course from the long pit lane. Should they have a second floor viewing area, you would be able to see the entire course. Thanks to Tim Koyen and Rick Jump for building our platform to work from during the weekend while USPKS timing and scoring Alli Long enjoyed the only air conditioned area of the facility – the little worker shack. 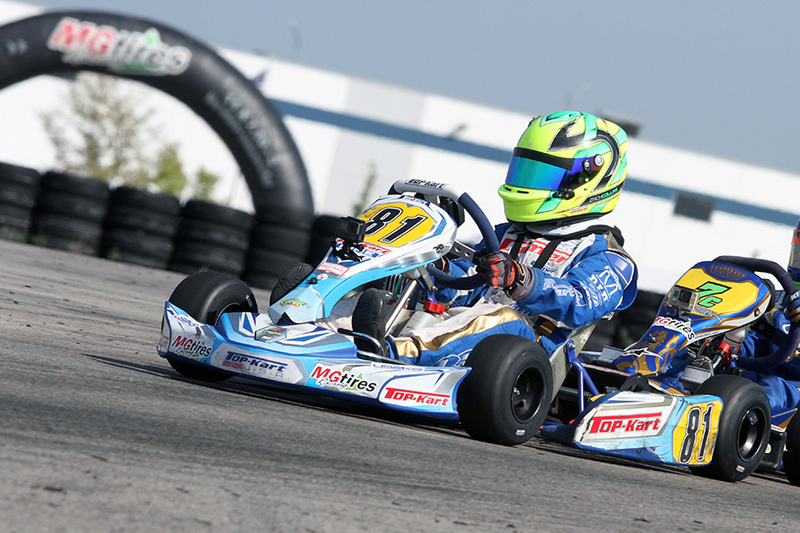 The Autobahn Country Club karting facility has the ability to be a great local and regional karting circuit. Just make sure you look at paper maps before you try to find it using Google Maps on an iPhone! Throughout the season, Brandon Jarsocrak and Alex Bertagnoli were the top two drivers everyone was chasing in the IAME Pro and the new KA100 classes. In the X30 division, BJ and AB were 1-2 in 17 of 28 on-track sessions. Jarsocrak dominated with five victories, including four straight. Autobahn was his best performance, sweeping the weekend. Bertagnoli scored the opening round victory, placing runner-up in the remaining seven rounds. In KA100, Bertagnoli had the edge on ‘Money’ and the rest of the large fields throughout the year. Capturing the inaugural victory, Alex won the last four main events to clinch the championship. Jarsocrak scored one win and three runner-up results. While they are separated by five years in age, their paths are very similar. Both began karting at a young age and worked their way up the karting ladder. Jarsocrak’s success has come over the last few years after scoring the Yamaha Pro title in 2014, making this year’s title his second USPKS championship ring. 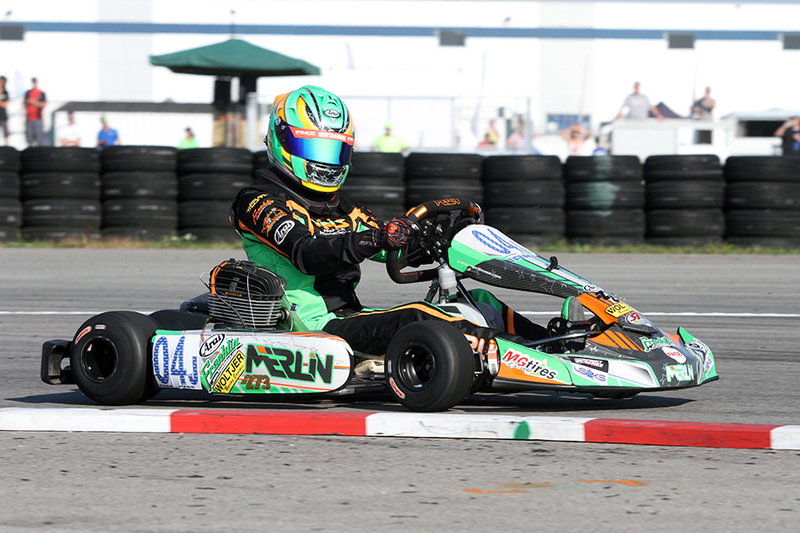 Bertagnoli was the top Junior driver in 2016, winning both USPKS titles along with the SKUSA Pro Tour championship. His transition from Junior to Senior was up and down early, however the 15-year-old is prime to contend for more success. What is the most similar between the two is the drive and support of their family, especially their fathers. Eddie Jarsocrak and Alan Bertagnoli are two of the hardest working fathers in the paddock, wrenching away on two karts throughout the four weekends to be the best when their kid hits the track. 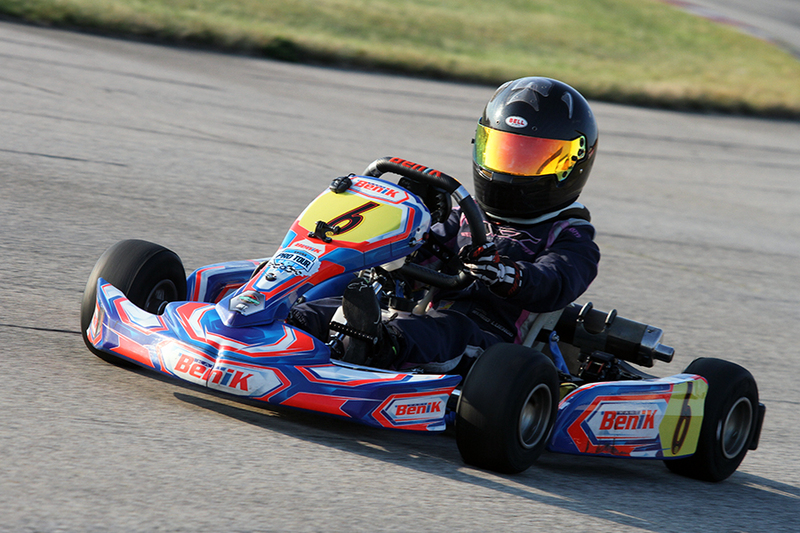 The support by their two teams – KartSport North America and Franklin Motorsports – is second to none, making sure each of their drivers have the best equipment to battle for victories and championships. 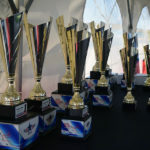 Three Cadet divisions are contested in the United States Pro Kart Series with the IAME Mini Swift and Micro Swift joined by the Yamaha Cadet division that has been with the series since day one. With the age range for Yamaha at 8-12, it allows the Micro and Mini drivers to compete against one another. 10-year-old Mateo Rubio-Luengo took advantage with the DCT / Benik driver competing in Micro and Yamaha throughout the 2017 season. Last year, he won two of the last four races in both IAME Rookie and Yamaha Rookie division. Entering the season, Mateo was a favorite in the two championships and looked to improve his win total from a year ago. Ironically, the Spanish driver living in Atlanta recorded only two victories on the year – one each in IAME and Yamaha. 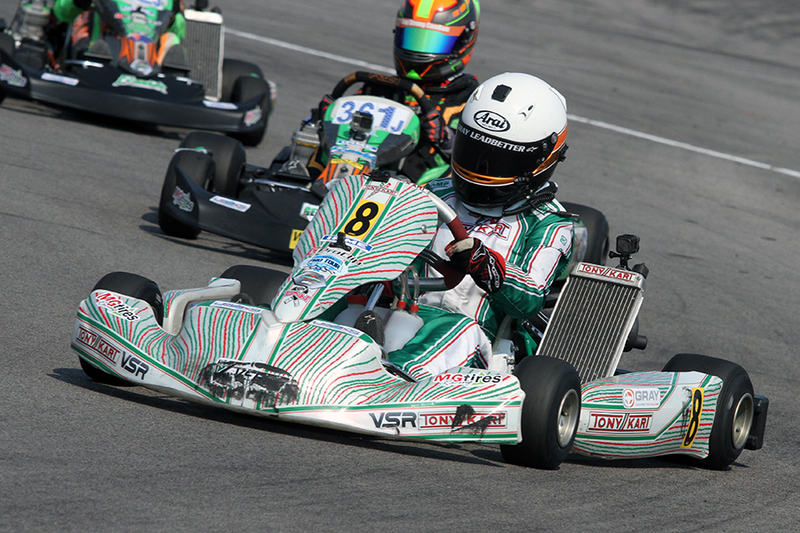 It was the consistency of running up front throughout the year that helped to put Mateo on top of the championship in both divisions – joining Dylan Tavella, Brandon Lemke and Alex Bertagnoli as double champions in the same year at the USPKS. His record in Micro was one win, three runner-ups and a third. A fourth-place and fifth-place finished off his five rounds to clinch the title prior to Championship Sunday. It was nearly identical in the Yamaha class, with one win, two runner-ups, two thirds and a fourth place result for his first five rounds. He elected to sit out Sunday as well, moving up to the Mini Swift category on the final day. Mateo went on to finish third in his class debut. I believe we are going to hear more about Mateo in the future, including a trip to the IAME International Final with a ticket from Spain putting him into the Mini class for the October 9-15 event in Le Mans, France. The USPKS debut at the Autobahn Country Club provide the backdrop for first series victories for two drivers – Zach Collins and Gray Leadbetter. Collins (Top Kart) had been struggle on the year at the Route 66 Sprint Series until the finale at Wolf Paving Raceway in Dousman, Wisconsin where he pulled off a runner-up finish against strong competition. The driver from Roscoe, Illinois carried that momentum, making his 2017 USPKS debut at Autobahn. Collins used the advantage having raced at the circuit for the Route 66 program in August, learning all the little nuances of the layout. He certainly used it, pulling off an amazing pass on the final lap in turn 11 beneath provisional champion Mateo Rubio-Luengo to secure the victory in Saturday’s main event. Collins nearly pulled off another victory on Sunday however Christian Miles edged him out at the line by four thousandths of a second. Gray Leadbetter added her name to the history books by becoming the first female winner in the IAME Junior division. Leadbetter (VSR / Tony Kart) opened up the year at her home track in Mooresville, North Carolina with two third-place results. She struggled to battle for the podium in the next two event. Saturday at Autobhan she was a few tenths off pace, placing seventh in the nine-driver field. Sunday was a different story. Leadbetter missed it in qualifying, ending up eighth, but bounced back in the Prefinal to place third, finding speed between sessions to match the pace of the leader. She advanced her way into the lead by lap six of the main event and led eight laps before getting challenged by eventual champion Maks Kowalski. Saturday winner Austin Schaff got into the mix and attempted a third-to-first move. It bottled up the Merlin drivers and Leadbetter took advantage, slipping past with the lead and her first USPKS victory. She joins Ashley Rogero and Paige Crawford as the only female drivers in series history. Five years are in the books for the United States Pro Kart Series. By the numbers, this is the first year the program has experienced a decline in entries across the season. The same fair, safe and professional service has been provided throughout the year that we have seen over the first four years of the program. It comes down to racers and teams selecting events to go to and events not to go to. GoPro and New Castle were strong, Pittsburgh and Autobahn were lack luster in terms of numbers. 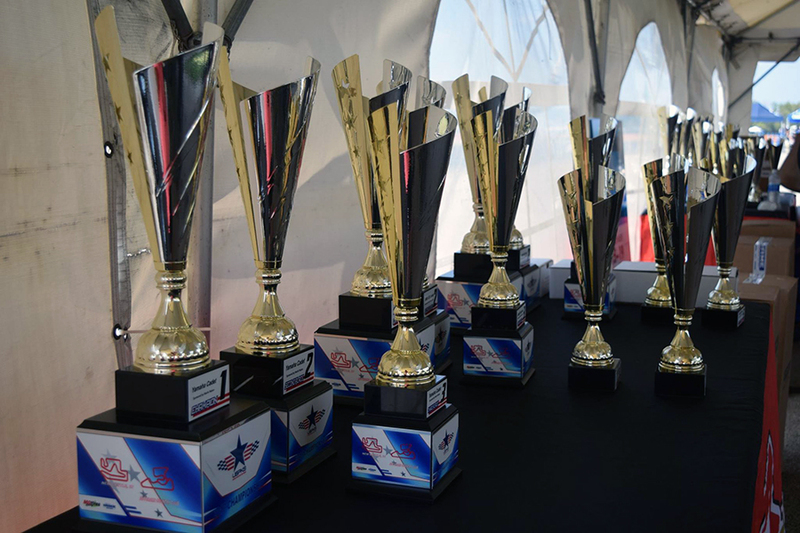 The competition level is still there, even with the low numbers, as many of the same SKUSA and WKA top drivers are racing for the victory and championships at the USPKS. Scheduling is going to be a key factor in the success of the USPKS in 2018, as competitors have shown they want to go to premier facilities and have the ability to compete in other programs throughout the season without too much travel conflicts or fitting them within the racers budget.